The Peacock plant (Calathea makoyana) is a tropical evergreen perennial from the rain forests of eastern Brazil. It has beautiful leaves with highly decorative designs in shades of green on the upper surface and purple on the lower surface. When light shines through the translucent leaves, the combined colors, lines and shapes give the appearance of stained glass; for this reason it is also known as Cathedral Windows. Calathea peacock will make a wonderful addition to any indoor houseplant collection with proper care, as this plant is a little demanding with it's water and humidity requirements, but you can meet the needs by providing humidity and the right kind of water. For one thing, this plant is fluoride-sensitive and will suffer tip burns with regular tap water. 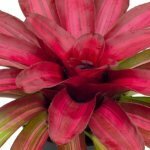 Fortunately, taking care of Calathea peacock and creating ideal conditions for your plant is really easy when you follow peacock plant care tips. For decorative purpose this plant will look great in all kinds of containers when grouped with other foliage plants. 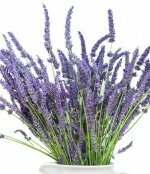 It grows from a thick rootstalks and reaches a height of about 12-20 inches making an ideal plant to display on a table or in a dish garden. They also look stunning in hanging baskets and can be used in bottle gardens or terrariums. Calathea plant will do great in a bathroom with a shower and window. Light: Calathea makoyana prefers moderate light by a shaded window. Keep plants out of bright light to avoid spoiling the foliage, causing then appear washed out. Water: Water thoroughly and drain off the excess then water again only as the soil begins to dry. keep soil evenly moist to touch (not saturated). Never allow plants to sit in water, as this will cause root rot. In winter, water sparingly only when the soil becomes dry. AVOID TAP WATER: Use only distilled or soft water to prevent fluoride toxicity. Rainwater is ideal for this plant. Use water at room temperature. Humidity: High humidity is essential and leaves should be misted daily with tepid water that is fluoride-free. You can place plant of pebble tray to increase the air moisture of get a room humidifier. Temperature: These warm climate plants prefer temperatures of 65 – 85 degree. Fertilizer: Apply balanced liquid fertilizer every two weeks during the spring and summer growing season. Soil: Plant in all-Purpose mix with one third peat moss added. Propagation: Take plant division with roots in late spring from the overcrowded pots, Plant the divisions in 3 inch pots of moistened all purpose mixture, enclose them in plastic bags and keep them in medium light. Remove plastic bag when new roots develop on the sections. Repotting: Always move healthy plants into pots one size larger every year in late spring or early summer. Pests: Plants may be attacked by spider mites if allowed to dry out. They are common pests of the plant. Signs of an infestation include bronzing, flecking or scorching of leaves. The affected leaves will fall off and the plant may die if the infestation is not controlled. Treatment: To control spider mites, ensure the plant is watered properly and occasionally spray the leaves down with water to remove dust and kill spider mites. In conclusion, be sure to cut off all dead leaves of the peacock plant at the base of their stems whenever they occur to keep your plant attractive and healthy.